The Ladies all love this tuxedo wearing dragon! Perfect for the boys! The black tuxedo stripes are part of the embroidery design. 4x4: 3.88 x 3.88. SC: 10,111. 5x7: 4.91 x 4.91. SC: 12,778. 6x10: 5.91 x 5.91. SC: 11,395. 8x8 or Durkee Hoop: 7.23 x 7.23. SC: 19,386. The Ladies all love this tuxedo wearing dragon! The black tuxedo stripes are part of the embroidery design. 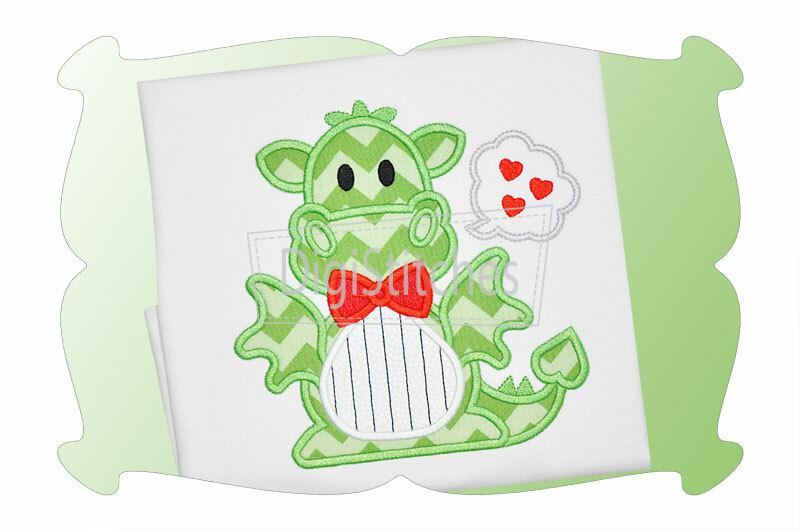 The Tuxedo Dragon applique comes in 4 sizes. All sizes included with your purchase!